An orthosis is an externally applied device that controls body alignment, corrects or accommodates a deformity or protects and supports an injury. Examples include knee braces, shoe insoles/inserts, and body jackets for spinal issues. 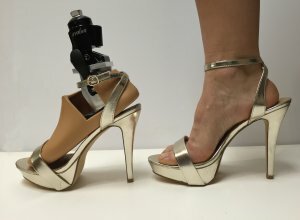 They are different from prosthetics, which are full artificial body parts. Orthotics is a branch within the medical world that deals with the design, manufacture and application of orthoses (plural of orthosis). An orthotist is the name of the clinician who specialized in orthoses, though orthopaedic surgeons also may prescribe orthoses. Orthotists may recommend an orthosis for the following reasons: to guide, control, limit or immobilize a body part (usually an extremity or joint); to assist in controlled body movement; to reduce weight bearing forces; to restrict movement in a certain direction; to aid in rehabilitation after an injury; to stabilize gait; and to correct the function of a given body part to aid in healing and reduce pain. Made from a variety of materials, including plastic, metal, carbon fibre, fabric and elastic, orthoses are under the International Standard terminology, meaning that an ankle foot orthosis (AFO) is used for the foot and ankle area, while a knee ankle foot orthoses (KAFO) is used for the foot, ankle and knee area. 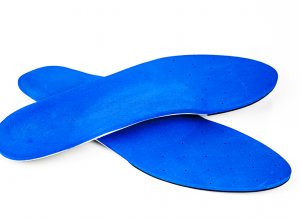 One of the most common types of orthoses is a shoe insert, which is custom made to fit inside of footwear. 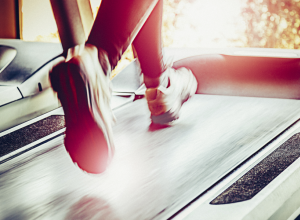 Often called “orthotics,” shoe inserts support the feet by realigning the foot joints and muscles during activities like walking, running and standing. But shoe inserts don’t just help the feet: Research has shown that this type of orthotic can help with knee, hip and spine deformities, as well. 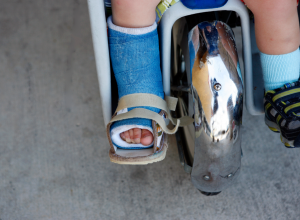 The most common orthotic in the United States is an ankle-foot orthosis. AFOs are used to control motion and position of the ankle, correct foot diseases and deformities, and help with ankle/foot weakness. 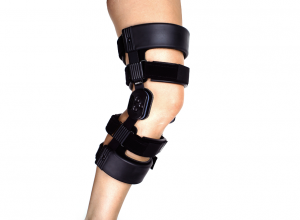 There are also KAFOs (knee-ankle-foot orthoses), KOs (knee orthoses) and prophylactic, functional and rehabilitation braces. Routine and playtime are key when it comes to getting babies and toddlers used to corrective brace wear.